This bracelet is available for both men and women. 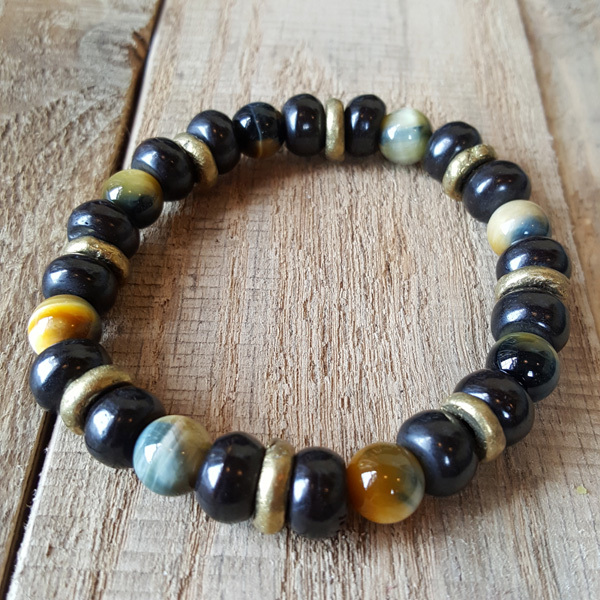 Our dark oxbone beads are accented with rough African brass spacers and blue Tigers Eye beads. Stretch to put on or take off, it’s easy to wear and love. The large is about 8 inches in diameter and the small is about 7 1/4 inches in diameter. Disclaimer: Stretch bracelets will break if overstretched!